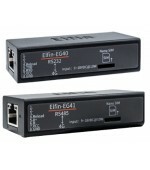 The Elfin-EG4X support LTE-TDD, LTE-FDD, WCDMA, TD-SCDMA, cellular network full network. 4G network support maximum download data rate 150Mbps, upload data rate 50Mbps. 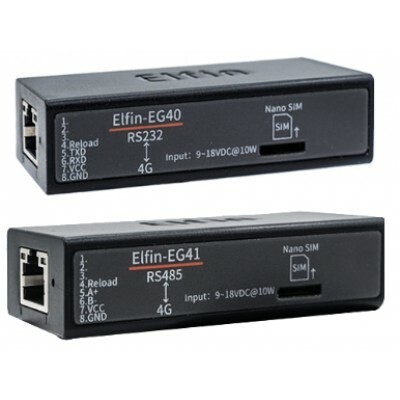 Supports Registration Packet, Heartbeat Packet Function, and Packet Supports Combination of ICCID, IMEI, IMSI, Software Version, cellular network Connection Status. Support IOTBridge for Remote Control and Config. Support IOTBridge working time, for example only works from 10:00 to 10:30 to save the data flow charge.